Chakra Clearing with Applied Integration (CCAI) is a method of chakra healing that incorporates both the energetic and consciousness aspects of the chakras. Through this work, Linda attunes to your chakras and reads the energy. She identifies stressed chakras and the underlying emotions, beliefs, and/or interrelated life experiences causing the chakra imbalance. Through a gentle dialoguing process, you will explore and bring to light more and more of the chakra history. From this stage forward, Linda actively guides you to resolve the core problematic issues of the affected chakra. We then employ and utilize corrective strategies and active integration techniques as self-care exercises and/or practical life homework. Through this combination of in-session and at-home applications, you will energetically clear and strengthen specific chakras. You will complete difficult life experiences, resolve emotional pain, and develop new, self-advocating attitudes and behaviors. The scope of this work is broad – and its gentleness and effectiveness are profound. Chakra Clearing with Applied Integration offers a spiritually sound process of consciousness growth and energetic healing. This work is appropriate for all chakra issues and problematic conditions, whether they stem from immediate life circumstances or past experiences. Additionally, CCAI is an integrative healing technique, which can be used in combination with other modalities from allopathic treatments to traditional Chinese medicine to holistic therapies. 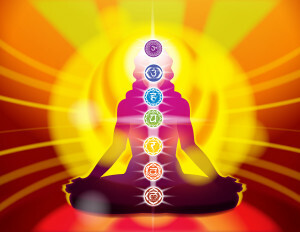 To learn about the Chakra’s and how they work, visit our Blog. Private Chakra Clearing sessions available remotely via phone and Skype or in our office located at YogaLife Institute: 860 E. Swedesford Rd. Wayne PA 19087. Sessions offered in Phoenixville upon request. The Chakra Clearing with Applied Integration method was developed by Elizabeth Frediani.